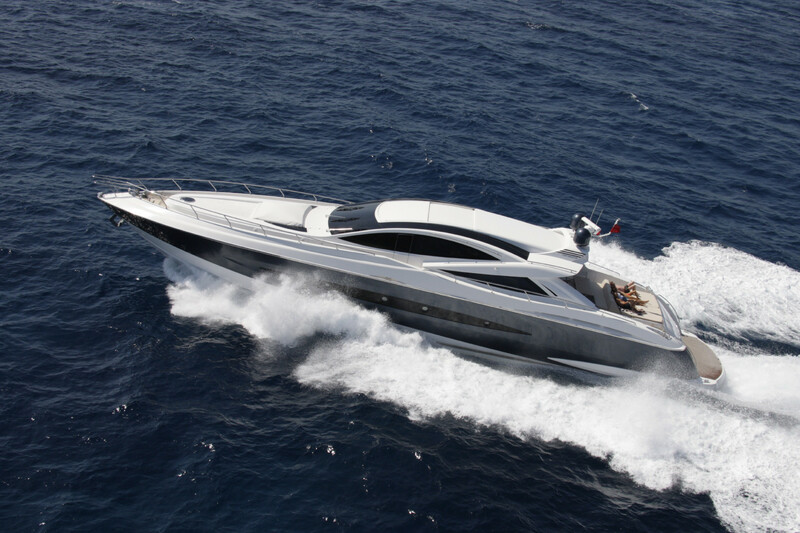 The Canados Open 90’, first open ever built by the roman yard, wins the award MYDA 2007 – Millennium Yacht Design Award amongst all yachts launched during last year in his category, motoryachts above 24 m. The ceremony of the fourth edition of the prestigious award was held during the Seatec 2007, the international show of technologies and suppliers of naval and leisure yachts producers. 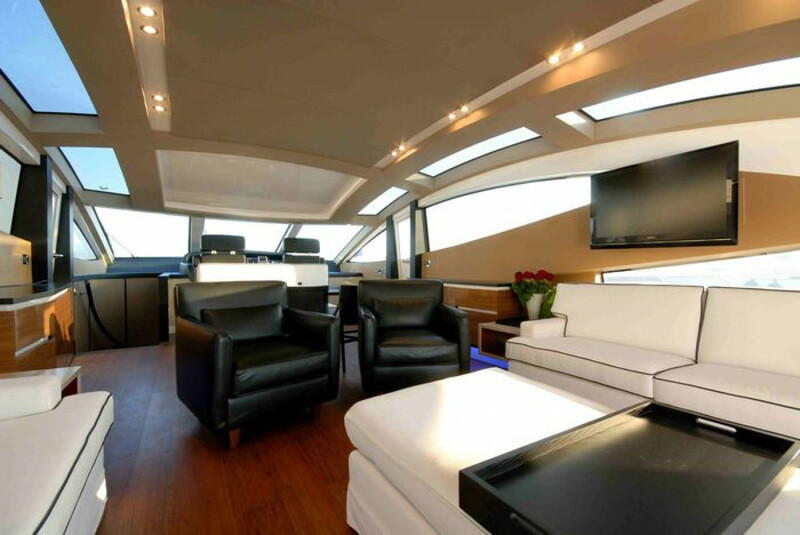 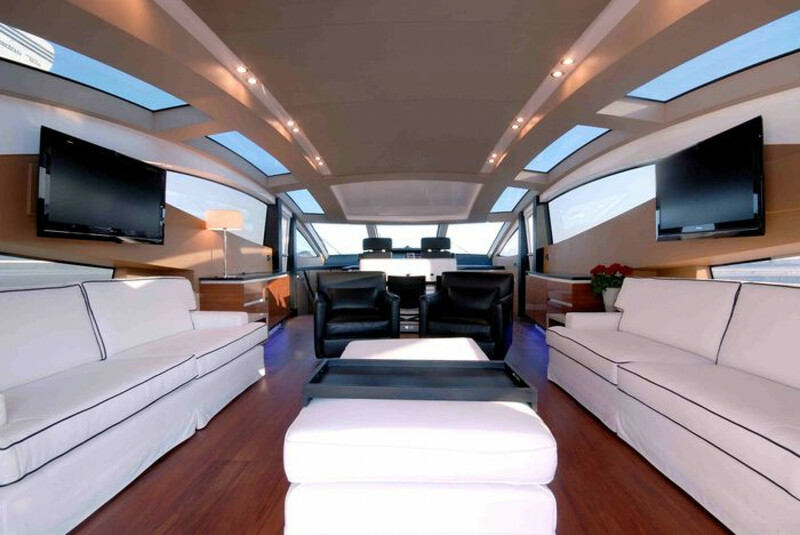 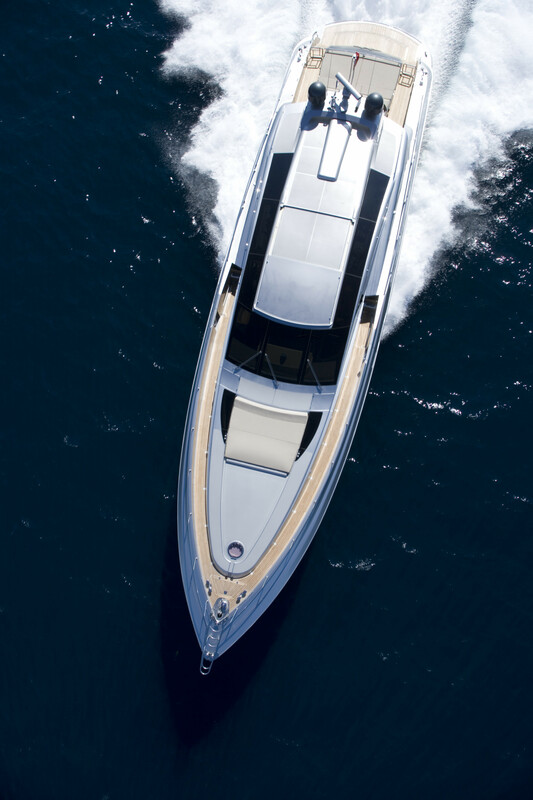 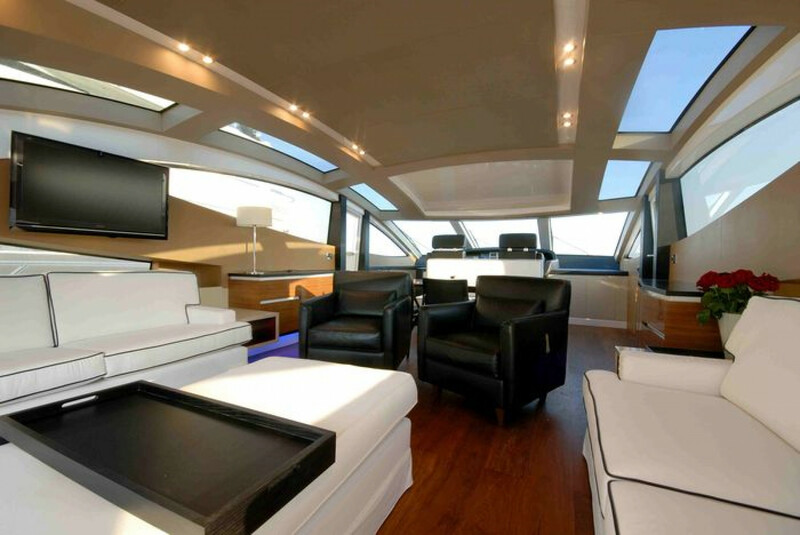 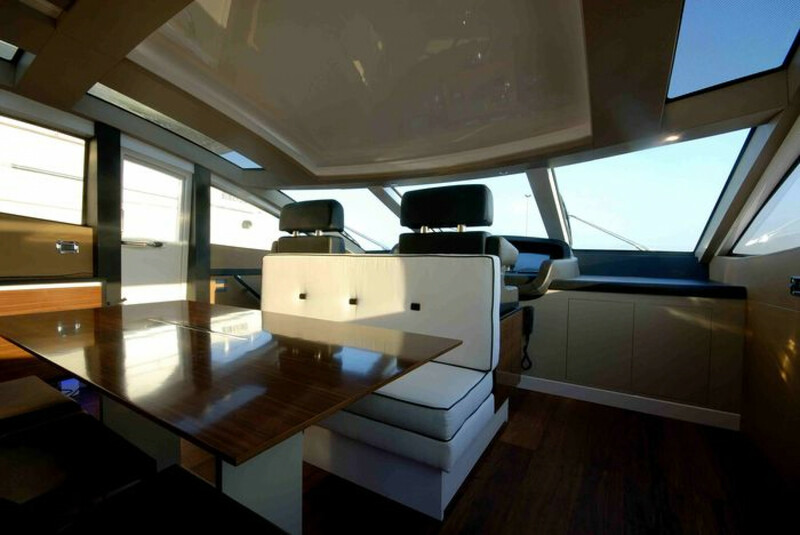 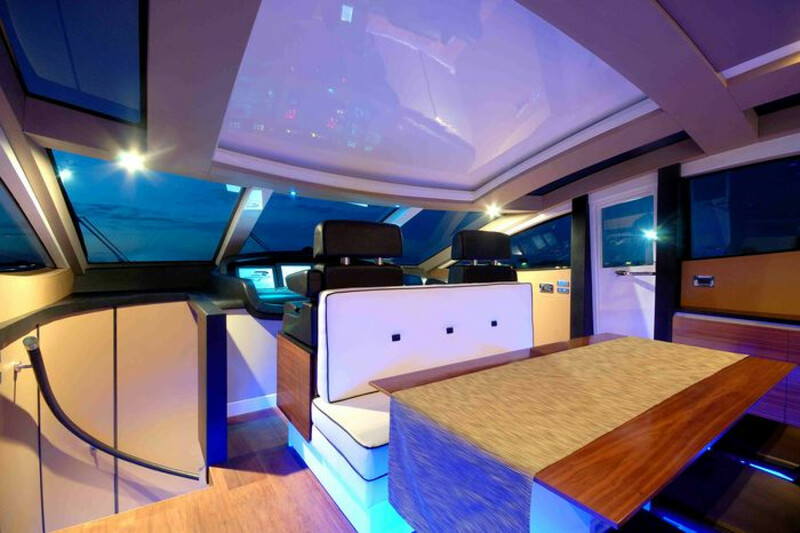 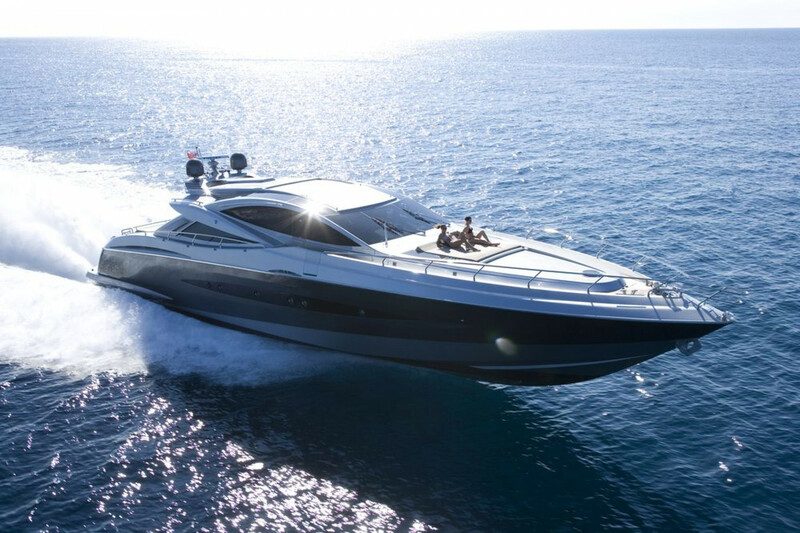 Canados Open 90’ defeated all other contestants for its beautiful and innovative exterior lines, its linear and elegant design of the interiors and the fabulous use of lights and transparencies. 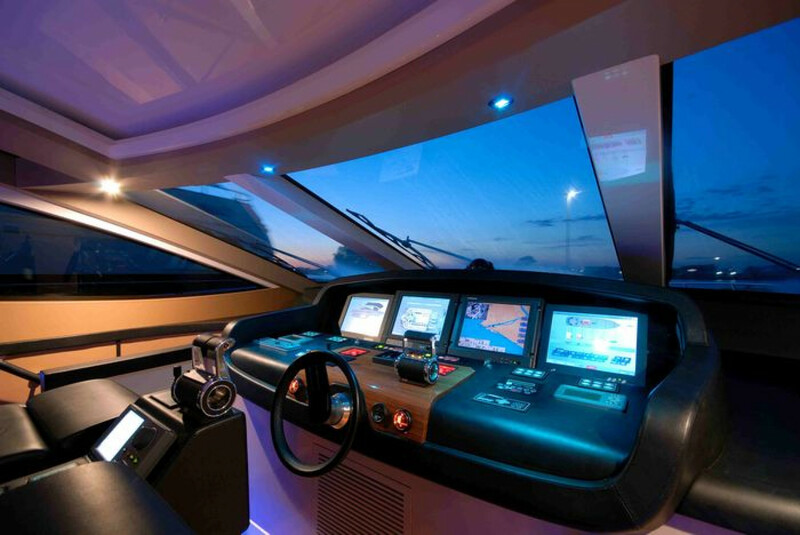 The expert jury, formed by Roberto Piatti, CEO and Managing Director of Torino Design, Decio Carugati, writer, journalist and design expert, Roberto Franzoni, director of Yachts Italia, Andrea Ratti, co-director of University Master in Yacht Design at Politecnico of Milan and Ivan Zignego, professor of Industrial Design at Architect University of Genoa, Italy, awarded the Canados yard for the beautiful and balanced design of this magnificent yacht. 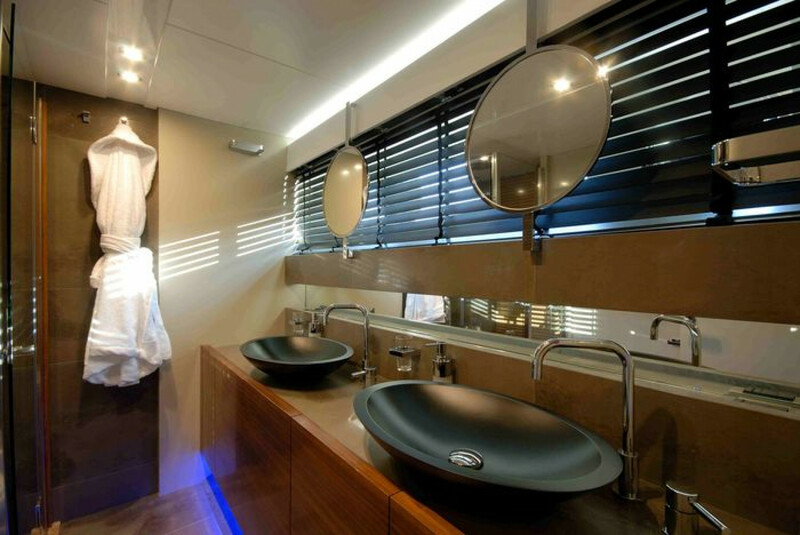 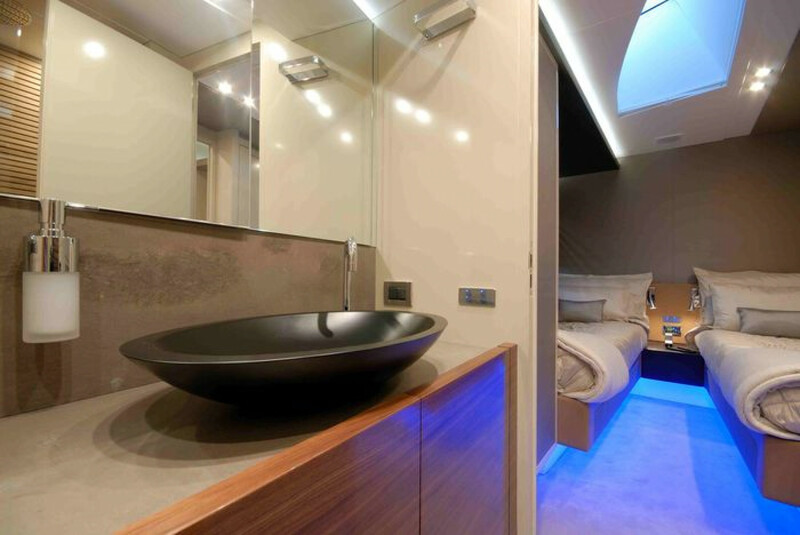 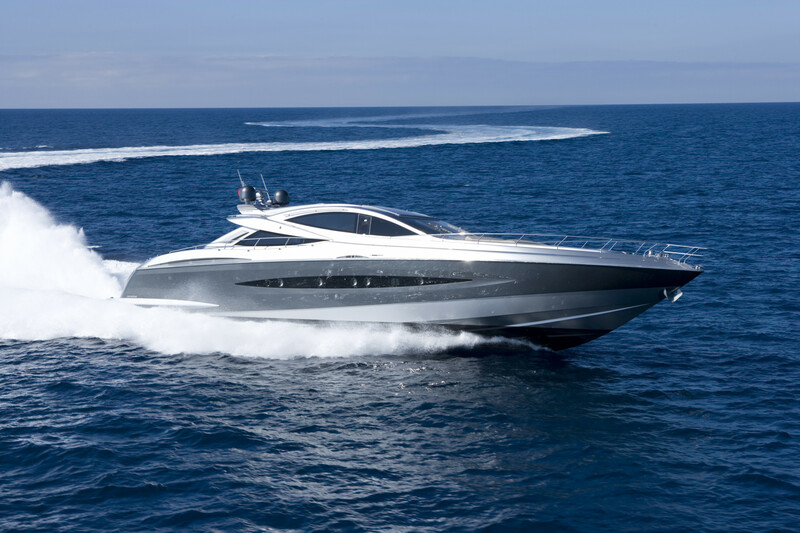 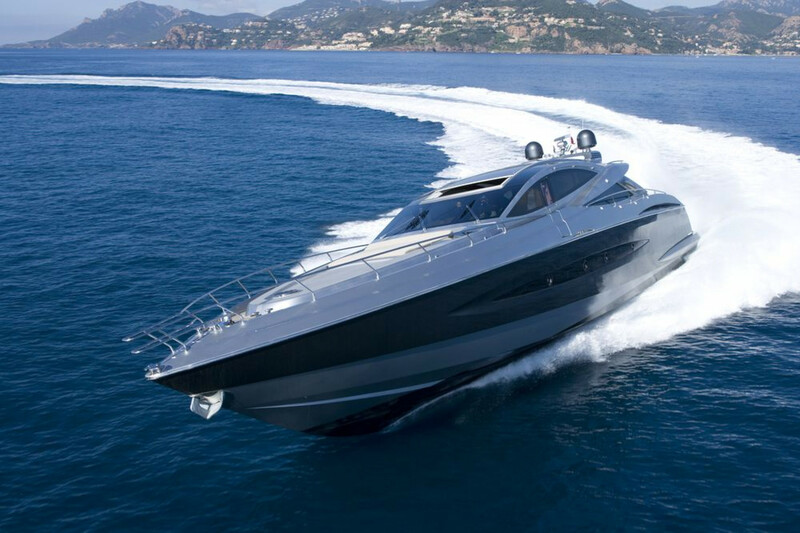 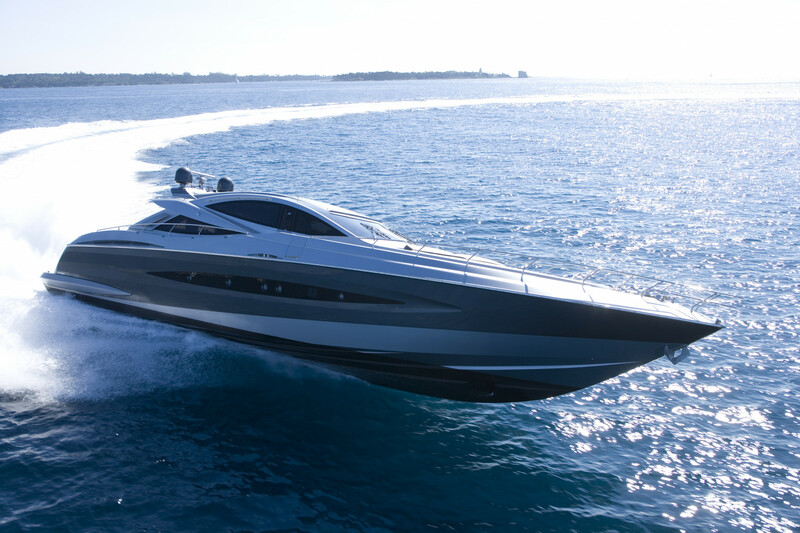 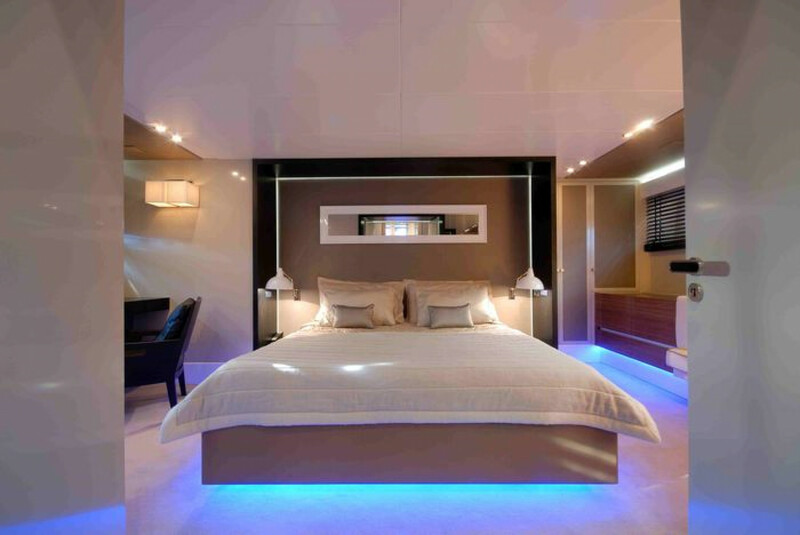 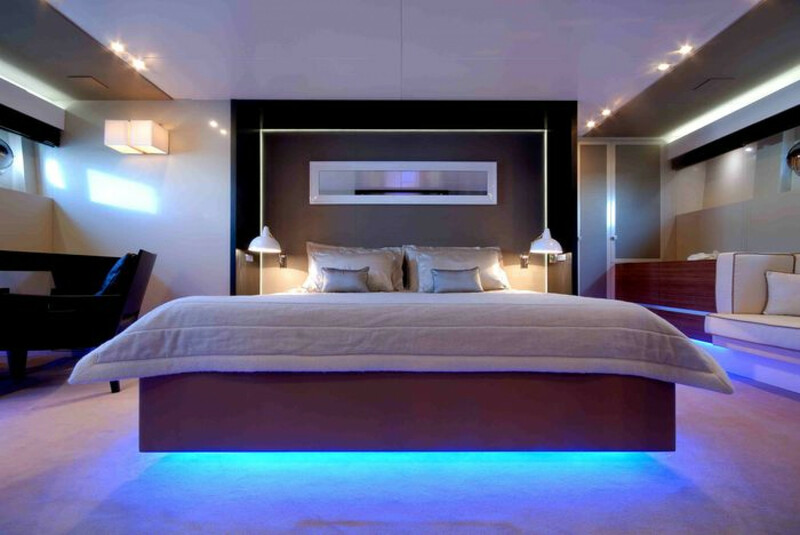 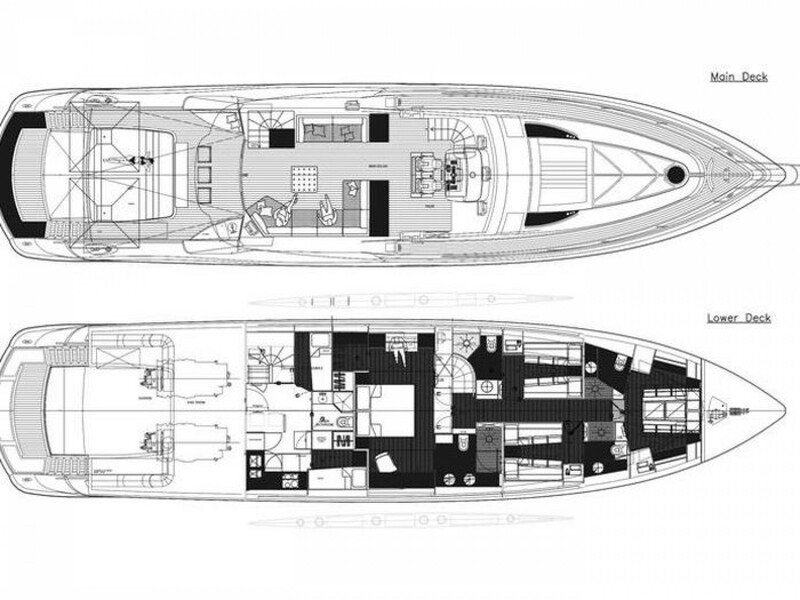 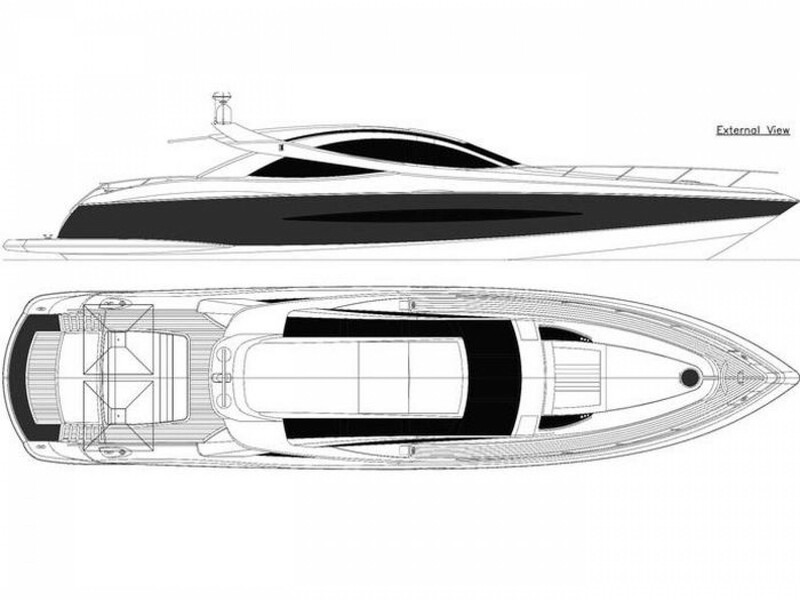 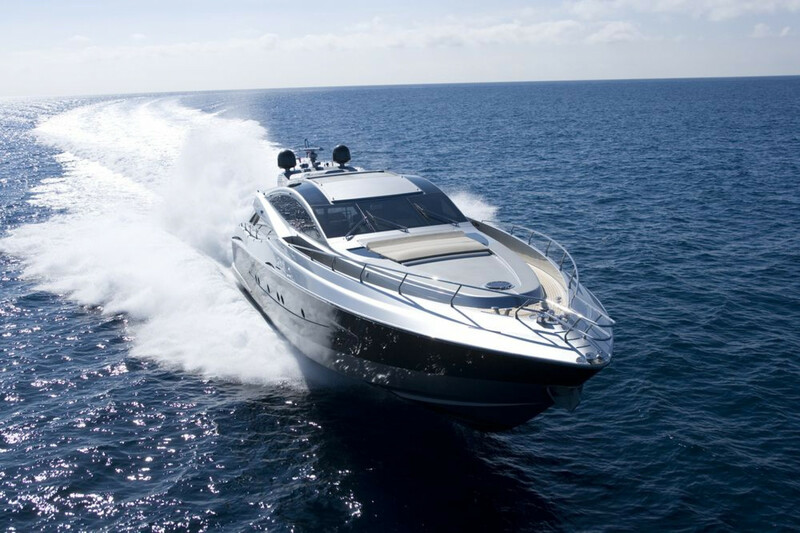 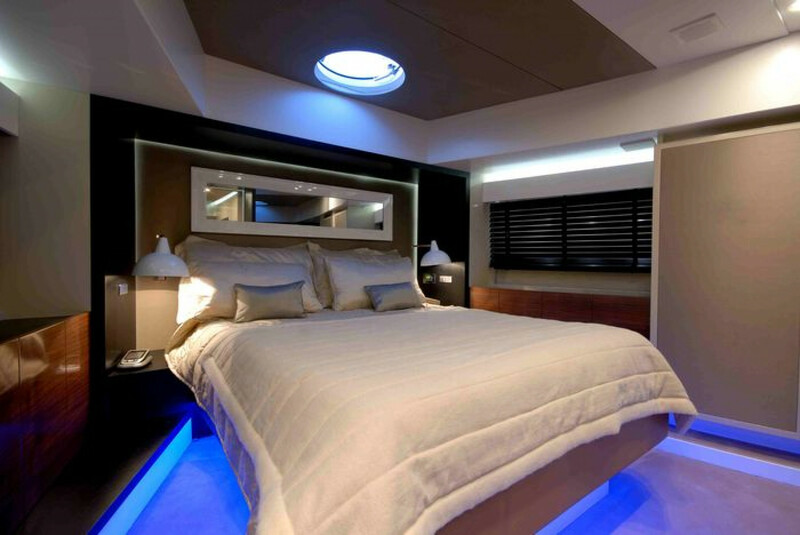 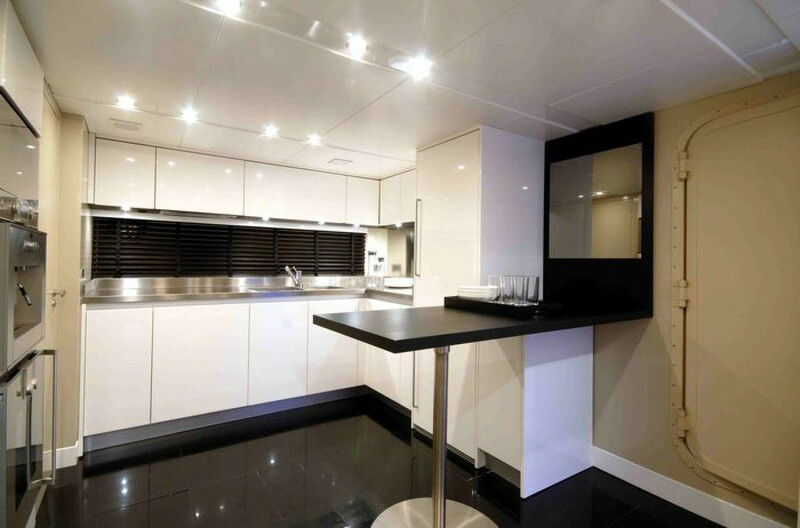 She has stylish interior and incredible performances at sea, a unique opportunity to charter one of the best models of open yachts available on the market.